Solid Edge is now a start-to-finish PLM tool that allows users to implement the best solution for their company’s and customer’s needs. 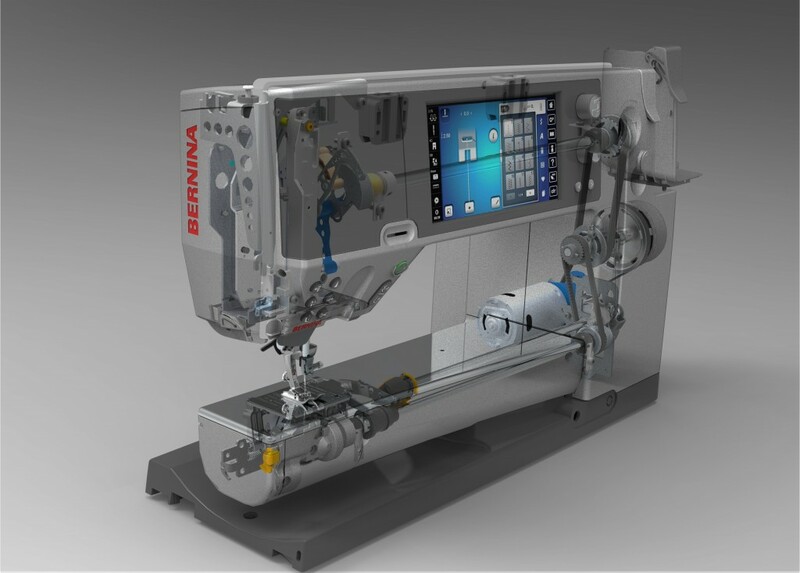 This portfolio includes a variety of tools, including simulation, manufacturing, technical publications, data management and applications from third-party software, truly offering unique design-through-manufacturing possibilities. Built-in Solid Edge data management allows manufacturers to work with a large volume of CAD files. The Design Manager tool enables users to review and edit the properties of multiple files and to backup, share and synchronize files through a number of cloud-based, file-sharing software. 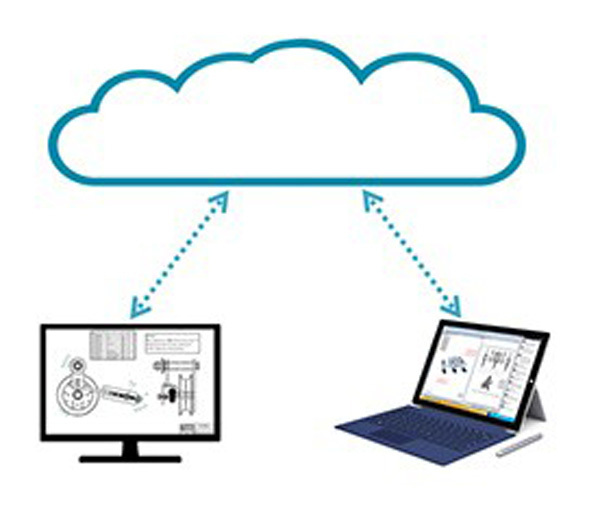 Should the need arrive, Siemens allows for an easy upgrade to Teamcenter. Teamcenter Integration for Solid Edge allows users to capture, manage and share Solid Edge data—including 3D models and 2D drawings. This software also offers a variety of product lifecycle management (PLM) options to optimize the design-to-manufacturing process. Offering a full suite of tools, Solid Edge can be used to author, edit, distribute and explore designs on the go. The Solid Edge Portal makes it easy for multiple team members to share projects internally and externally—with suppliers and customers. Any user can access files through a web browser. 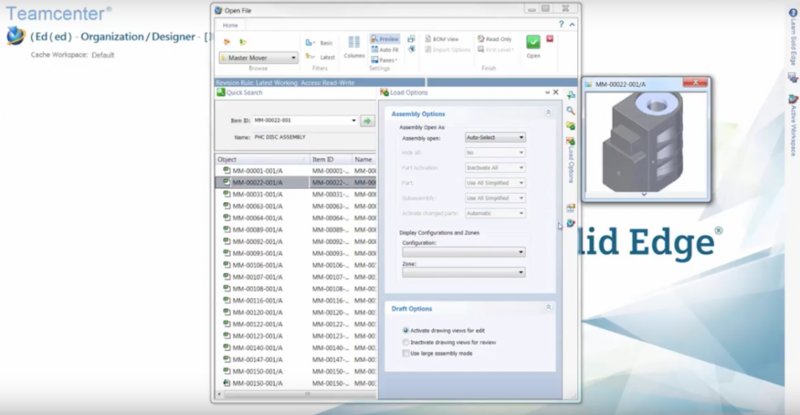 The Pack and Go feature allows for quick packaging of files for customer and supplier distribution through email. The Solid Edge Mobile Viewer App permits quality control, field engineers and purchasing agents to access the data they need to efficiently perform their tasks. Solid Edge has several capabilities that were first available in NX CAD, include Generative Design (minimizes part mass while still meeting the criteria for strength), Reverse Engineering (edit models from a 3D scan) and Additive Manufacturing (3D printing). The combination of these tools equals Convergent Modeling—the underlying technology built into Solid Edge, combining traditional Boundary Representation modeling with triangular mesh (or facet) models—allowing for the incorporation of both native CAD models and scanned design data. Solid Edge is the market leader for sheet metal design, delivering tools for every step of the design-to-manufacturing process. Designers can develop models by dragging 2D sketch regions into 3D, or by pulling model edges into flanges. Because each feature is independent, users can edit with flexibility. They can also document manufacturing steps independent of modeling steps. Solid Edge was developed to handle assemblies of any size; users can create and manage assemblies consisting of more than 500,000 parts. Display management tools allow for zooming and focusing on specific parts while reducing the amount of detail needed to load the entire assembly. With Solid Edge’s unique Synchronous Technology, users spend less time understanding how an entire model is constructed and more time engineering the product, speeding up the development and refinement process. Solid Edge users can build complete 3D digital prototypes and optimize their designs before the production stage, and design an entire assembly with specific machined, cast or stylized components. Users can show operations and appearances with exploded views, photo-realistic renderings and animations. Solid Edge provides the tools engineers and designers need to create and edit digital products faster and more efficiently. High quality products begin with accurate, high quality drawings. 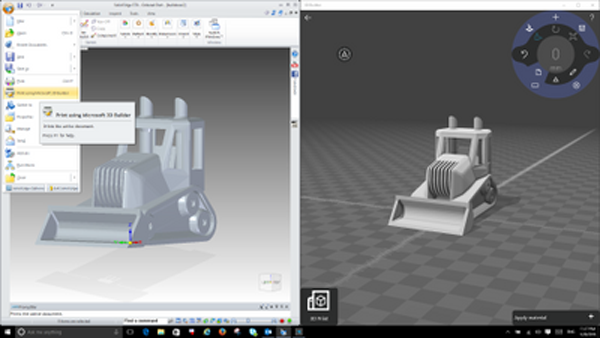 Solid Edge allows users to create quality 3D models from 2D drawings, and 2D drawings from 3D models. With both functions, Solid Edge provides multiple view options, including standard, auxiliary, section, detail, broke and isometric. Solid Edge’s Synchronous Technology allows users to create and modify a design on the fly, irrespective of the order in which previous elements were assembled. 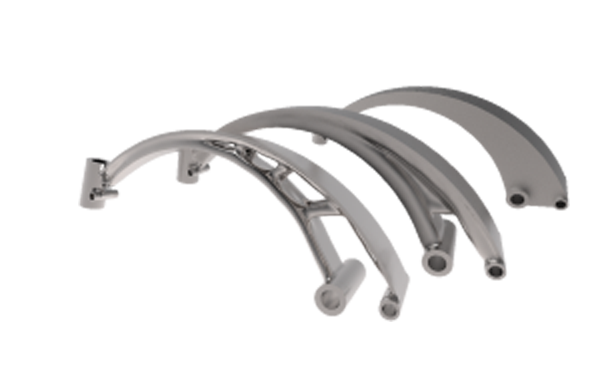 This makes the design more responsive and allows for design changes at the assembly stage. With this feature, users can design, revise and deliver a product faster. 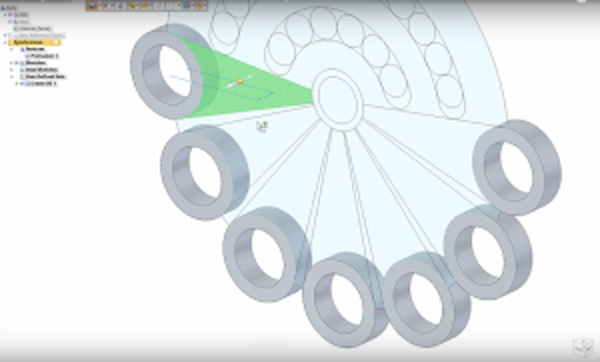 The one-shot editing of Solid Edge allows users to edit components in an assembly while also maintaining the original design intent of the product or feature. A user can select multiple faces of multiple parts and make quick edits. 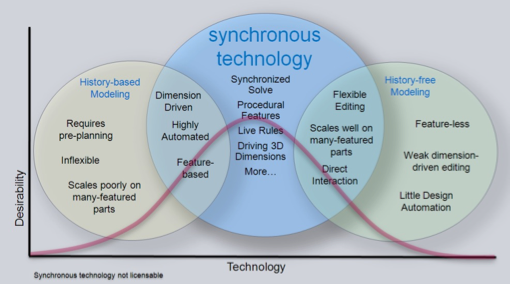 Synchronous Technology will recognize symmetrical parts of a feature and make corresponding edits when there are any alterations. 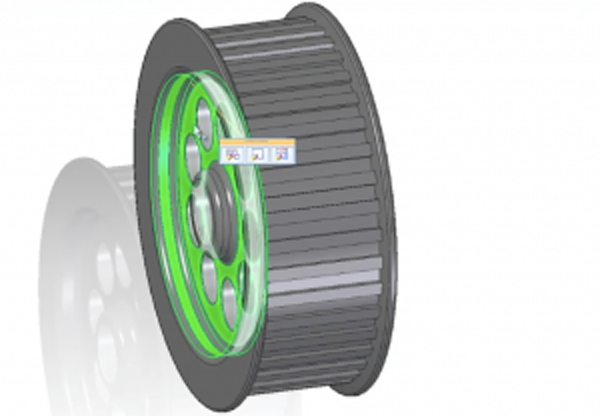 While the advantages in design and editing are clear, it’s important to highlight how the Solid Edge portfolio makes this software more than just a CAD tool. You have the ability to manage, distribute and accelerate delivery of any project. 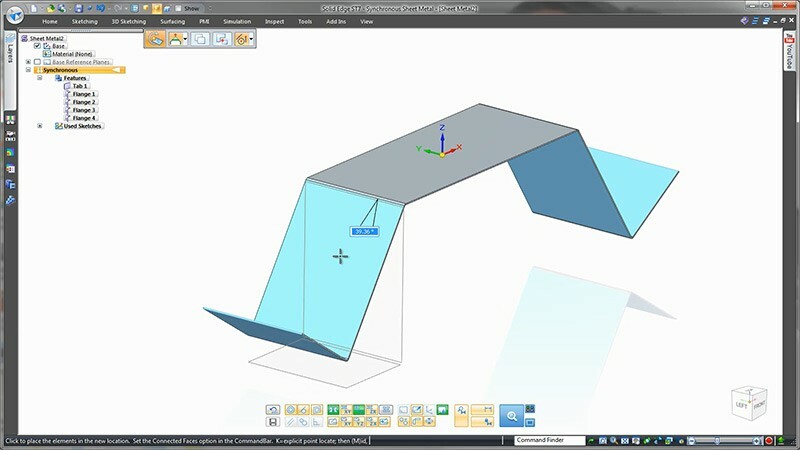 The PLM possibilities of Solid Edge allow for a unique and simplified user experience for multiple users, of multiple experiences. Image 10: Direct select faces of parts and edit parts of an assembly while maintaining original design intent.